Category: Blankets and Throws. Tags: gift for her, Gifts for yogis, India, merino wool blanket, merino wool throw, shavasana blanket, wool blanket, yoga blanket. 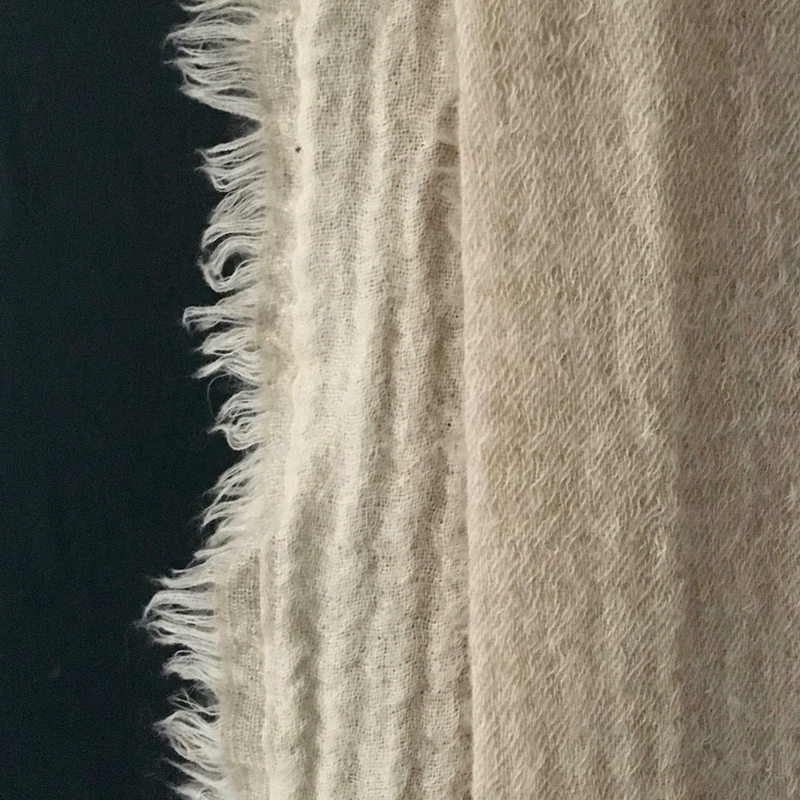 A merino wool throw with a soft, waffle like, texture in natural. Scroll over the image to see the texture in more detail. 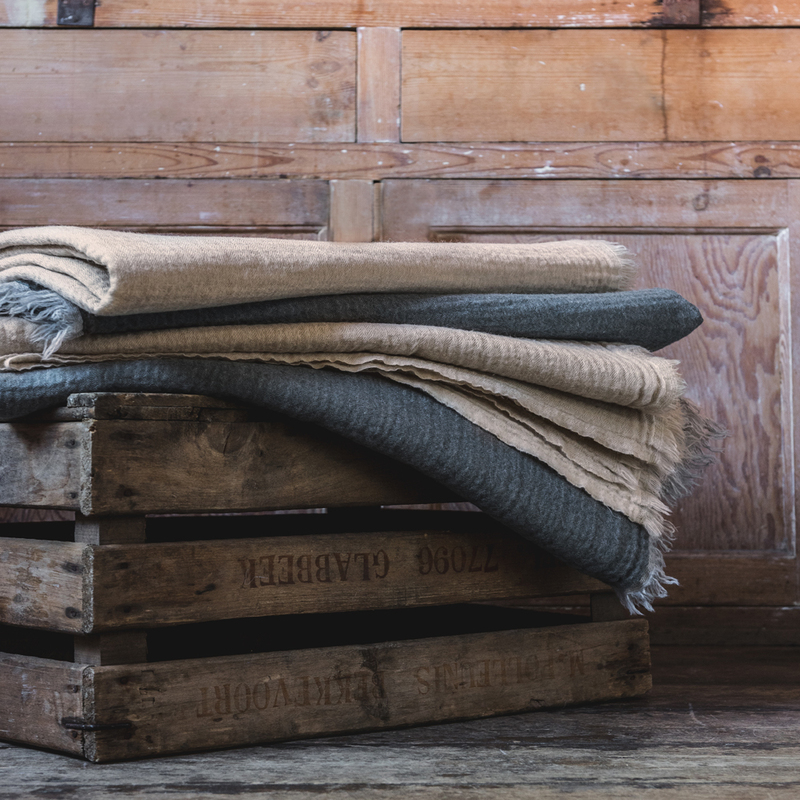 Woven in India from 100% soft merino wool this soft and lightweight blanket with fringing at the head and foot makes the perfect throw across the foot of a bed, a chair or sofa. It’s lightweight but warm so great for snuggling under on chilly nights. 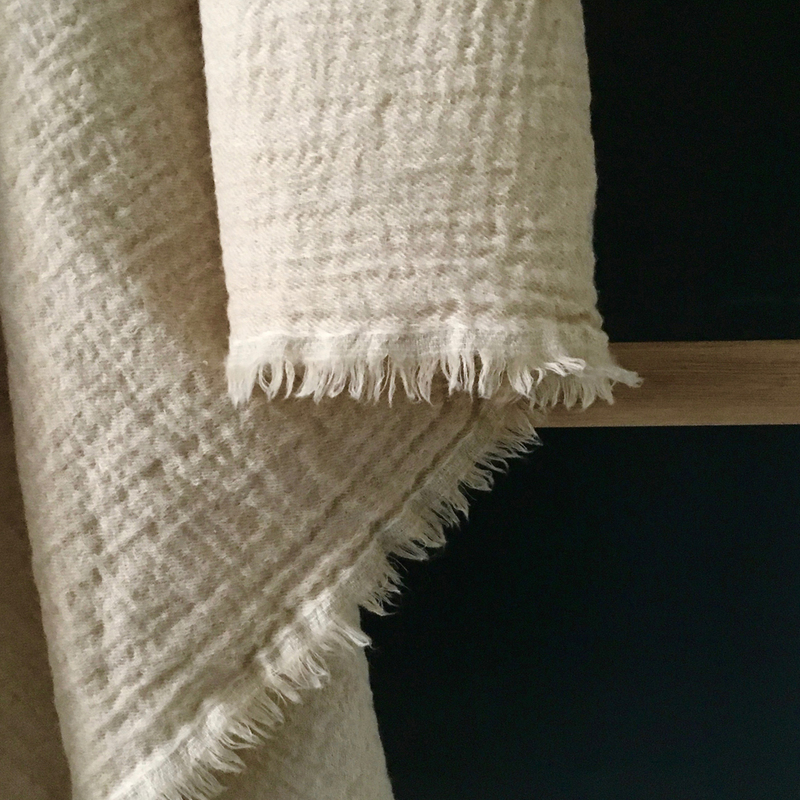 The subtle, natural colour lends itself to a contemporary or rustic interior. 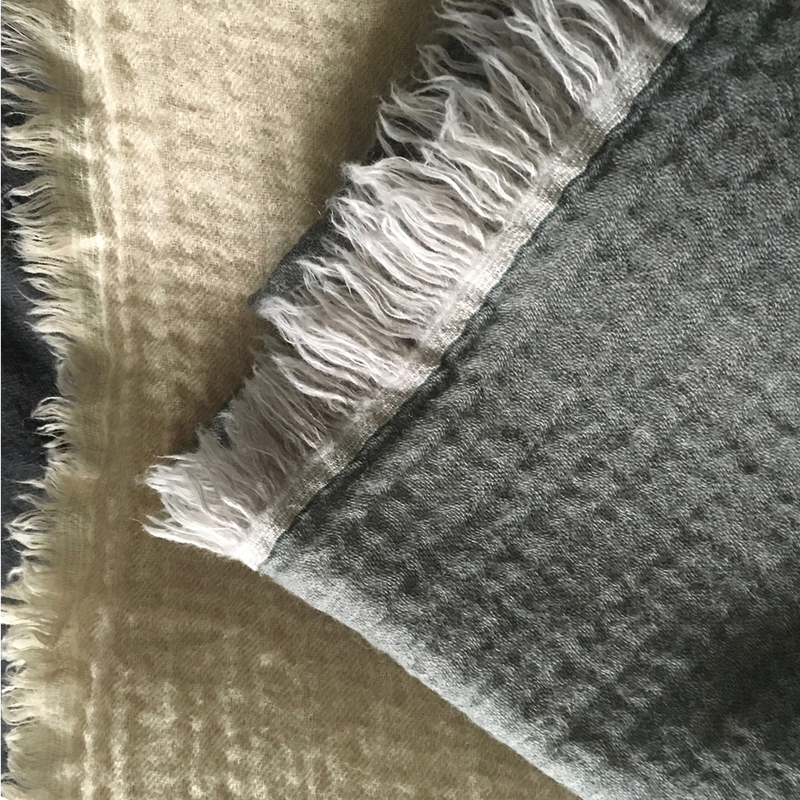 This merino wool throw would make a great shavasana blanket for yoga lovers as it is lightweight but has a high warmth to weight ratio. Merino wool is non itchy and provides warmth without overheating so is perfect for relaxing at the end of a class. It’s also easy to clean as it is machine washable. Machine washable on wool cycle or 30c. Dry flat. Do not tumble dry.